Have you seen those late-night microbead pillow informercials? Based on the buckwheat pillow? Interesting—I started a buckwheat pillow company a few years ago (go ahead, click the link up in the upper-left corner), so I couldn’t resist ordering one of these things to see what the hell this thing was. I went shopping online and noticed that some of the popular microbead pillows used the term “sobakawa,” which is japanese for “buckwheat,” in in their product descriptions. moldable and supportive. 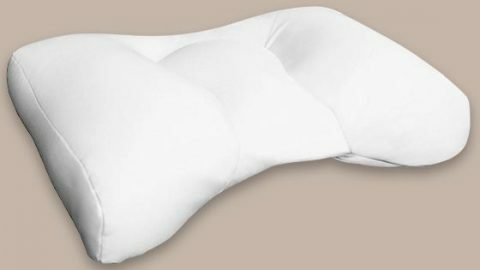 You can shift the pillow’s fill to conform to the shape of your head and neck providing even and comfortable support. breathable and cool, retaining no heat. The space between the pieces of fill promote airflow, which keeps your head cool at night. You could call microbeads a synthetic alternative to buckwheat hulls, but it’s a bit deceptive to use the term “sobakawa” to describe a microbead product that contains no buckwheat. I noticed that most microbead pillow manufacturers don’t overtly employ the technical and often negatively perceived term, “microbead” in their marketing materials. I suspect that many consumers of microbead pillows aren’t sure what their products are actually filled with. Why do they avoid the term microbead? It’s most likely because the microbeads used in personal care products have have a tarnished reputation (that’s putting it lightly). 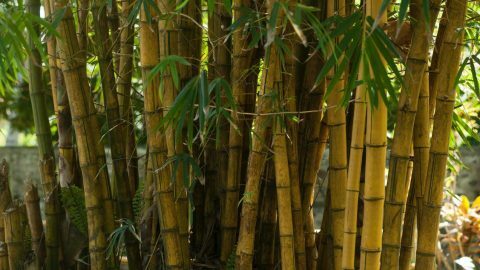 They have been revealed to pose a serious danger to our environment. In fact, President Obama signed a bill that outlaws selling and distributing these products. Granted, the type of microbeads used in shampoos and toothpastes are a different type and obviously used for different purposes, but the negative connotation remains. Look at the image at the top of the page. It’s pretty hard to argue that a handful of that is anything but bad for the environment! It’s pretty yucky stuff. Thus, microbead pillows are usually marketed using consumer-friendly names like “cloud pillow,” or “air bead pillow.” That sounds better! This microbead pillow’s sinister and foreboding silhouette is complimented with a heart of evil “air beads” that will destroy the earth for your children. Sleep well! I actually wasn’t too sure what to expect until it arrived on my doorstep. A small, very light weight box arrived. I assumed the microbeads would be heavier, like hard plastic. I opened the box and found an 18×12″ kidney bean-shaped pillow tucked in a plastic bag along with wrinkled xeroxed instructions. 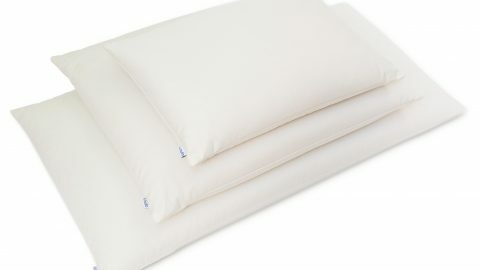 They’re considerably lighter than traditional pillow fill types like down or even polyester. I couldn’t see what was inside the pillow, but I was able to get a good sense of the fill’s physical characteristics through its thin fabric case. I recognized the small spongey white beads as being similar to what was inside many kids’ bean bag chairs. According to the company’s marketing materials the pillow contained 10,000,000 of them. I sure hope these vaporous little bastards never escape their case! When I pulled my microbead pillow of its plastic bag it was immediately evident that these things stink! It smells like it’s full of caulk. I found the odor incredibly distracting and even concerning (is this thing toxic?). I’ve had it for over a month now and it’s admittedly less noticeable than it was when it first arrived. That said, it still has a strong chemical odor that I find too unpleasant to use consistently. That doesn’t sound like something you should spend 1/3 of your life on. “As a special bonus, you’ll recieve one free pillow case” Hooray! Included with the pillow was a specially fitted case. It has a zippered opening and fits snugly over the pillow. Reading the instructions made it clear why the pillow case was included: the pillow itself cannot be washed. The free pillow case is your only line of defense against stains and odors. The infomercial claimed that I would “… never need to buy another pillow…” That’s a pretty bold claim given that I can’t clean it. Its thin fabric case could easily come apart in the wash. It’d be a disaster to have all those beads clogging up your washing machine! The local nature would probably hold a grudge as well. 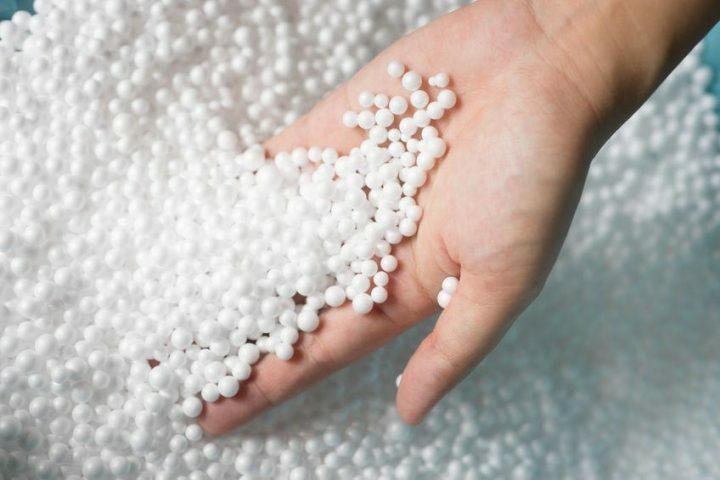 A dryer typically will not get hot enough to melt polystyrene microbeads, but the heat can apparently affect their durability. A few trips to the dryer can render your microbead pillow a pancake. The Verdict: Is a Microbead Pillow Worth Trying? While a microbead pillow feels quite soft when it comes out of the box, when pressure is applied, it provides very firm support. For those acclimated to traditional soft, squishy pillows, this can take awhile to get used to. I sleep on a buckwheat pillow, so I appreciated the firm and even support the microbead pillow offered. You slide your head into the pile of microbeads and they’ll magically conform to your head and neck. Unfortunately, it’s not perfect: the smooth surface of the individual microbeads prevents them from gripping one another. The beads slide away from one another until the fabric case restricts their movement. As a result, a microbead pillow isn’t very good at holding its shape. You’re likely to end up repositioning it more often than you’d like. The pillow’s three separate compartments are apparently required to prevent the fill from bottoming out. 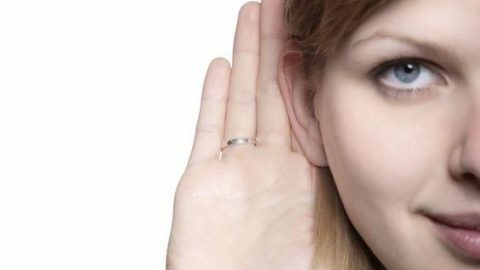 Without them your head would sink to the mattress and the microbead fill would all collect around your ears, providing woefully inadequate support. It’s actually similar to a millet hull pillow in this regard. Even with the separate fill compartments, it felt as though my head was buried too deep in the pillow. The two side compartments pushed upwards on either side of my head making me feel somewhat claustrophobic. It’s weird, but the pillow is now considerably thinner than when it arrived. It’s almost like some of the fill vanished. I slept on it for at least 3 weeks and my kids gave it some good abuse in their pillow fort. It seems that, with pressure, the microbeads’ shape degrades over time. They haven’t sprung back to their original shape. A pillow that isn’t capable of maintaining consistent loft (thickness) is not conducive to good sleep. As it happens, the pillow was initially too thick for me, but after some use, it has a more appropriate loft. I assume that with continued use, it’ll be far too flat. According to the reviews of users online this is a consistent problem with microbead pillow fill. The real deal-breaker was the smell. The strong chemical odor was not pleasant and serious distraction to me falling asleep. Some users have reported headaches that they attribute to the off-gassing of their pillows. I personally never felt any adverse affects like headaches, but one has to wonder if it’s really safe to breath those fumes all night long every night. A microbead pillow is moldable and malleable. It’ll conform perfectly to the unique space between your head and mattress. Effectively eliminating all pressure points, the support provided is even and comfortable (until your pillow turns into a pancake!). It’s breathable. No flipping to the cool side of the pillow! The potentially hazardous off-gassing from polystyrene is hard to ignore. The filling loses its elasticity and volume rather quickly. The pillow flattens out, resulting in inadequate support. The individual microbeads don’t grip each other because of their smooth rounded edges. This causes the pillow to loose its shape, requiring frequent readjustment. The unusual shape of most microbead pillows prohibits the use of traditionally sized pillow cases. I gave the microbead pillow an honest shot, but I couldn’t wait to return to my reliable buckwheat pillow. Anyone who is considering a microbead pillow should first give a buckwheat pillow a try. A buckwheat pillow is more comfortable, safe for you and the environment, will last several years, and doesn’t smell like paint! Don’t take my word for it, check out these honest reviews from our customers. Judge for yourself! Sleep on Hullo for 60 nights. If it's not for you, just ship it back to us and we'll refund the purchase price.